On Sunday 5th August, all owners of Japanese vehicles have an opportunity to display their motors in the picturesque grounds of the National Motor Museum at Beaulieu for Simply Japanese, another in Beaulieu’s popular range of Simply rallies. 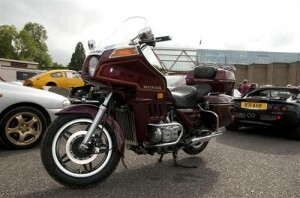 Last year, Beaulieu welcomed around 400 Mazdas for its inaugural, and highly successful, Simply Mazda event. In response to demand, this year Simply Mazda has evolved into Simply Japanese, broadening the range of vehicles that can join the rally. All Japanese marques, of any age or model, are welcome, from Honda, Nissan and Toyota, to Lexus, Subaru and Mazda. Owners can display their vehicles in the parkland, take part in the event activities, and enjoy all the delights of the Beaulieu attraction, including the National Motor Museum’s exciting BOND IN MOTION exhibition, which showcases 50 original vehicles from the James Bond films and behind-the-scenes footage from some of the most thrilling vehicle stunt sequences. Throughout the day visitors will be given the opportunity to vote for their favourite vehicle on display in the People’s Choice Awards. In the afternoon a cavalcade of the most popular vehicles will take place around the Beaulieu attraction, and the winning vehicle and runner up will be announced in a prize-giving ceremony. The winning vehicle owner will receive a coveted special 60th anniversary edition Beaulieu Trophy, with the runner up receiving a bottle of Beaulieu Bubbly. For entrants arriving on the day in their Japanese vehicle and participating in the event, individual ticket prices are £10 per adult and £5 per child. Book advance tickets online at www.beaulieushop.co.uk or on telephone number 01590 612888, which you can also call for information on group/club entry. For all enquiries regarding Japanese marque-related trade stands, telephone 01590 614614. Entry into the Beaulieu parkland with your Japanese vehicle is from 9.30am when refreshments will be available. All other visitors who wish to see the event, but not participate in a Japanese vehicle should enter Beaulieu via the Main Reception at normal attraction admission prices from 10am. Admission to the event includes entry to the whole Beaulieu attraction; the National Motor Museum and BOND IN MOTION, World of Top Gear, On Screen Cars, Beaulieu Abbey, and Palace House and gardens. This event is sponsored by specialist motor insurance broker Adrian Flux.